Pastor Tunde Bakare of the Latter Rain Assembly is set to lock horns with other politicians for presidential race at God’s appointed time. Bakare, who was a Vice Presidential candidate to incumbent President Muhammadu Buhari, said he had been directed by God to contest. He said God has told him not to end his political career as he had earlier contemplated. Bakare, in 2011 contested as the vice-presidential candidate on the platform of the defunct Congress for Progressive Change (CPC). He said God told him to run for the Presidency. Contesting the presidential election of one of the 12 things God revealed would happen in 2018, he said. 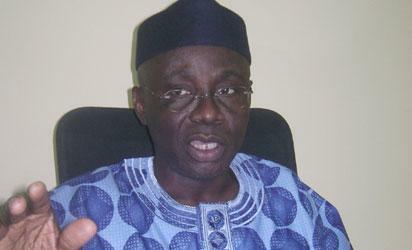 Bakare explained that God had not told him when the “appointed time” to run for the presidency would be. “In my study around 4 am on Sunday morning, God told me ‘you cannot bring your political career to a close; there is still more to do. Run for the Presidency. I will do it at the appointed time,” the pastor added. Bakare said that most “political juggernauts” in the country would fall “at the feet of women in 2018”. The post God directs me to run for the Presidency – Bakare appeared first on Vanguard News.